*Door opens at 11:30 am. Free with RSVP. 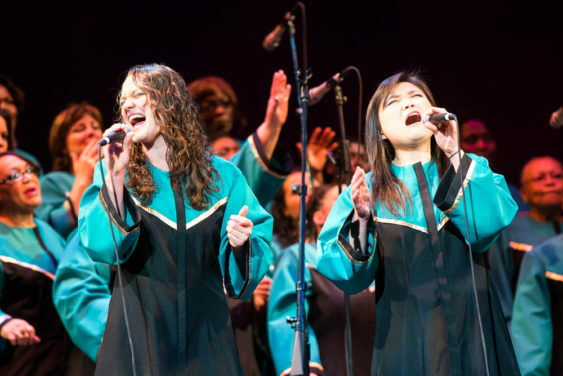 Honoring the legacy of Dr. Martin Luther King Jr. for 22 years, this year we bring focus to Dr. King’s belief that we must eradicate poverty to achieve justice and create a truly inclusive community. 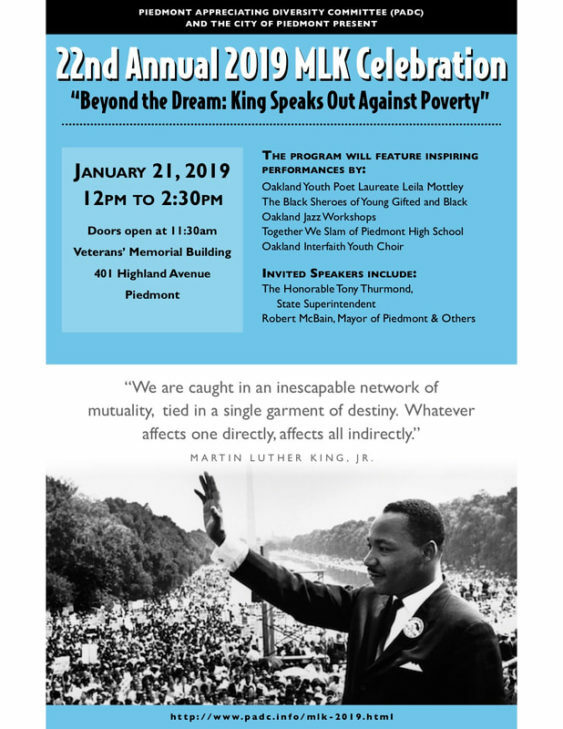 The Piedmont Appreciating Diversity Committee (PADC) and the City of Piedmont will host the 22nd annual Martin Luther King Jr. Day Celebration at the Piedmont Veterans Hall on January 21, 2019.